When you do something against WeChat rules and your WeChat account is blocked, how could you view your former WeChat data? Do you want to recover your blocked WeChat account data? Now when you have this kind of issue, and want to get back your blocked WeChat account data, you’re coming the correct place. 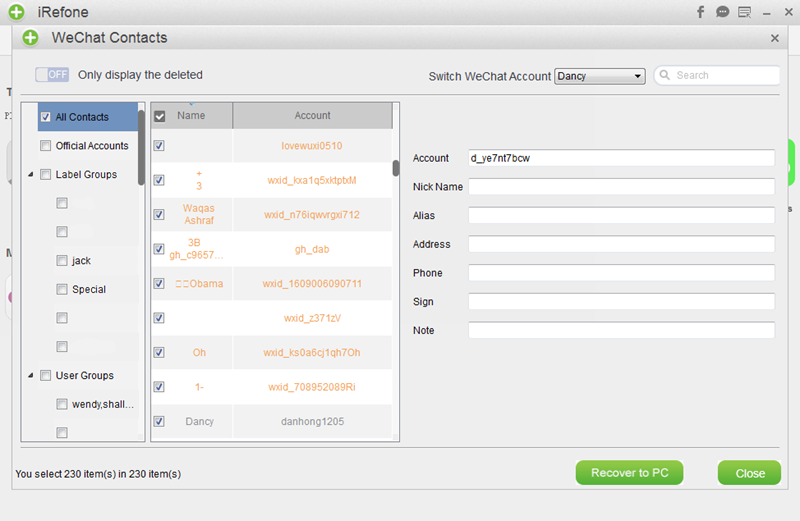 Here, we’ll show you how to view your blocked WeChat account data with iRefone. iRefone is a professional iOS data recovery software, it can help us recover more than 16 kinds of files even we have no backup, also we can use it to backup those iOS data. What’s more, when you have done some backups on iTunes and iCloud, it can also help us extract data from our backups selectively, and it doesn’t need us to erase all content and settings. When you have no backups, please follow below steps and learn how to get back your blocked WeChat account data without backup. Step 2. Then we’ll enter new page with many data icon and media icon that iRefone can recover, find and click “WeChat Contact” for example. And it will be scanned by iRefone. Step 3. After scanning, you can view WeChat contacts you need, and also you recover them by clicking “Recover to PC” and choose folder path to save them. When you have done some backups of your WeChat data on iTunes, we can help you get back your WeChat data from iTunes. See below steps. Step 1. Launching iTunes, connect your iPhone with PC. When it’s recognized, click iPhone image icon on the left top corner. Step 2. Then click Files–Summary, you can see all your backup files there, find and click the one you need. 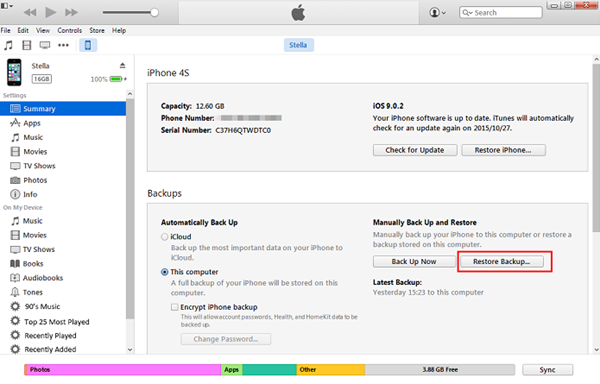 Tap on “Restore Backup” on the right page, and confirm with “Restore”. Also when you don’t want to restore your WeChat data from iTunes backup, you can also check them directly from your PC. 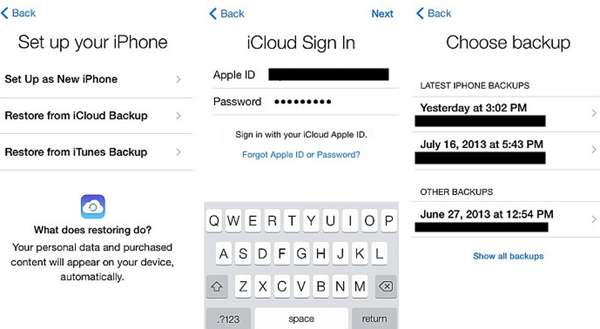 When you have done backups on iCloud, you can check below steps and restore your blocked WeChat account data from iCloud. But it will need us to erase all content and settings. Step 2. Then go to Setting–General–Erase All Content and Settings, when all content and settings are erased, we’ll go to set up assistant mode with a hello screen. Step 3. 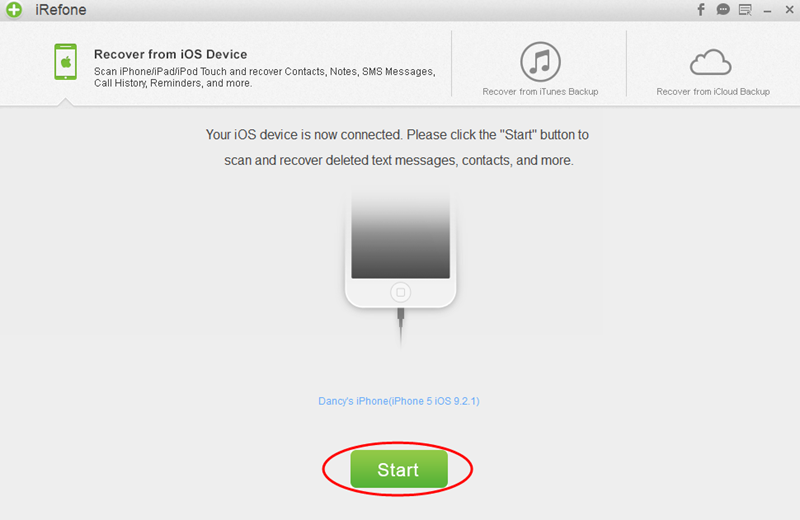 Now swipe on the screen to begin the set up process on your iPhone and choose the backup files you need, tap on “Restore Backup”, and confirm with “Restore”. 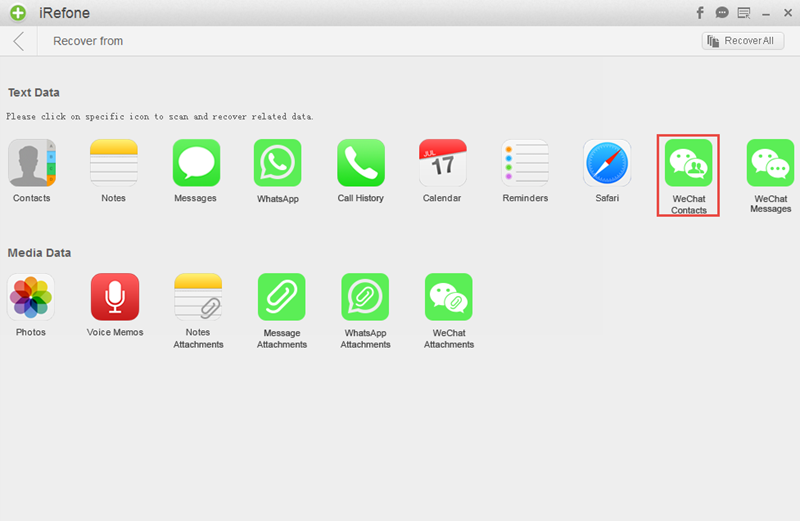 Tips: when you want to restore your WeChat data or other iPhone data from iTunes and iCloud backup selectively without erasing all content and settings, you can come to iRefone for help as well. This entry was posted in Recover WeChat Data and tagged get back blocked WeChat account data, recover blocked WeChat account data, unlock blocked WeChat account.. Bookmark the permalink.